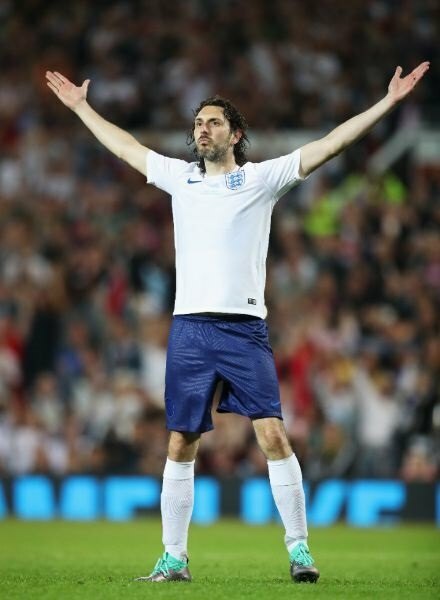 Blake Harrison, who played Neil in The Inbetweeners, scored the decisive penalty, as Robbie Williams’ England XI defeated Usain Bolt’s World XI in the 7th edition of Soccer Aid at Old Trafford. Over £5.5m was raised for Unicef, and 71,965 fans packed out the Theatre of Dreams to make it a record attendance at the high profile charity match. 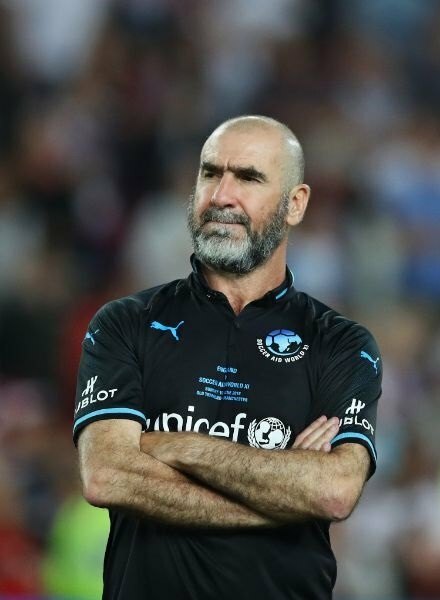 Seven former Manchester United players returned to their old stomping ground, including the legendary Eric Cantona, to play alongside celebrities and sports stars in a thrilling match. The England XI had won four of the previous six meetings in the biennial match, and got off to a perfect start when singer Olly Murs played a delightful pass to Darren Bent inside 12 minutes. The former England International dummied Edwin van der Saar, before coolly slotting into the vacant net. Minutes later, the England XI had doubled their lead: the 2016 Man of the Match Mark Wright curled a delightful left-footed cross to footie skills freestyler Jeremy Lynch, who cushioned his volley past van der Saar. Sandwiched in between the two goals, Juan Sebastián Verón attempted to buy a penalty with a woeful dive, but Mark Clattenburg was alert to the simulation and gave the Argentine a telling off. Robbie Keane bundled over a reply for the World XI, before clipping an inviting ball over for Bolt. The Jamaican finished expertly past David Seaman, but had made a false start with his run, and was caught off-side. Bolt was lively, and soon after he was inches away from levelling the scores for a second time, as he brushed off Sir Mo Farah to curl his shot agonisingly wide. The World XI did manage to equalise on the stroke of half-time, when Veron reacted the quickest in the box to curl in an accurate shot on the turn to leave Seaman helpless. Bolt continued to threaten but was denied again, this time by the crossbar and the officials. 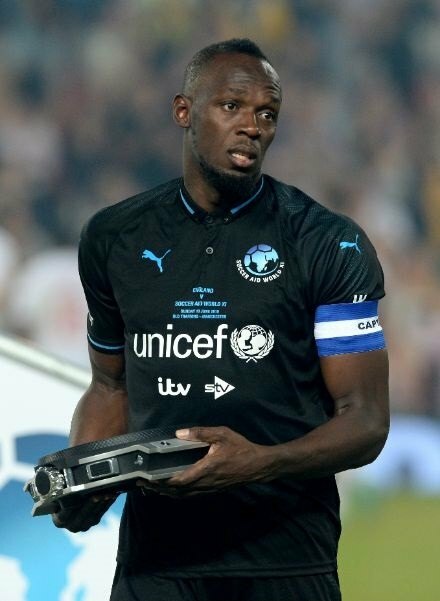 Having dug out a superb effort, the sprinter watched the ball crash off the underside of the woodwork and marginally over the line, but with no VAR or goal-line technology in place, Bolt was left searching for his first goal. Dutchmen Patrick Kluivert and Clarence Seedorf linked up with a simple one-two to cut through the England XI’s defence, with Seedorf finishing off to become the outright Soccer Aid top goalscorer with four, following his hat-trick in the 2014 match. Murs then had a moment to forget. Westlife’s Nicky Byrne dropped a routine catch into Murs’ path, but the captain somehow missed the target with the goal at his mercy. Cantona, now 52-years-old, entered the field with fifteen minutes to play, and received a standing ovation. However, it was another Manchester United No. 7, who would strike the next blow. Jamie Redknapp’s shot rebounded off the post and into Michael Owen’s path, and the 2001 Ballon d’Or winner made no mistake. After a dramatic 3-3 draw, the game would be determined by penalties, just like in 2010 when the World XI outlasted the England XI in a marathon penalty shoot-out. 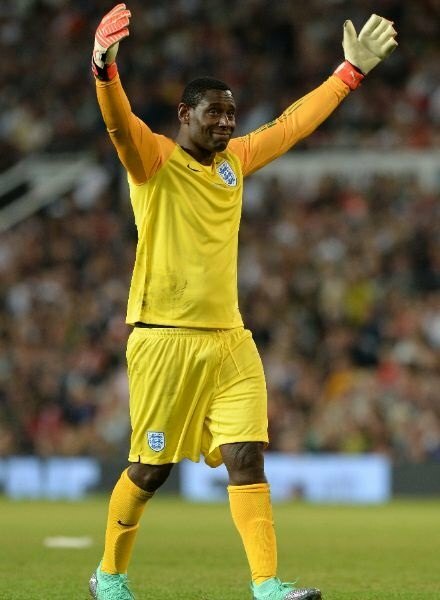 David Harewood saved back-to-back penalties from Kevin Pietersen and Byrne to put England on the brink of victory; Byrne had also failed from 12-yards in the 2010 shoot-out. But the drama continued as Paddy McGuinness tamely rolled his penalty at Byrne, and Lee Mack dragged his attempt wide. Hayden Christensen also succumbed to the pressure in sudden death when he blazed over, gifting Harrison an opportunity to win the match. The Inbetweeners’ actor fired an unstoppable penalty past Byrne, who had guessed the correct side. Harrison celebrated like Cantona had in his prime to cap off the thrilling spectacle at the Theatre of Dreams.